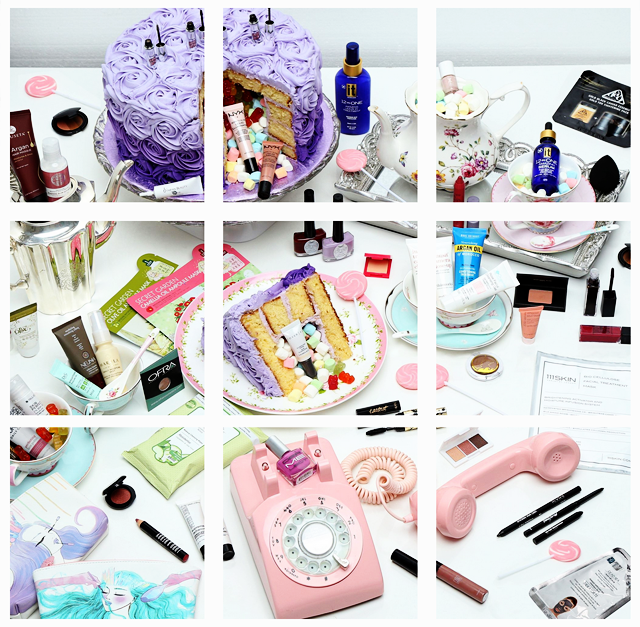 It's time for Ipsy Spoilers again! Admittedly, I wasn't expecting to have full spoilers for you guys so early in the month, but SURPRISE! I've just gotten home from a vacation in Florida (look for a blog about my trip soon!) and I'm a little out of sorts, but I wanted to keep the blog posts rolling, so this is perfect timing! 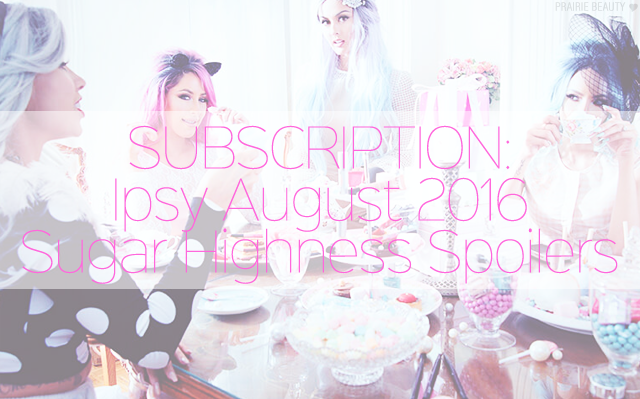 This month's theme is Sugar Highness and the photoshoot includes a lot of pastels and what I can only think of as being a bit of a Marie Antoinette vibe, which I find myself loving a little bit. So, without further adieu, let's get to what you came for! Keep reading for full spoilers on this month's bag! 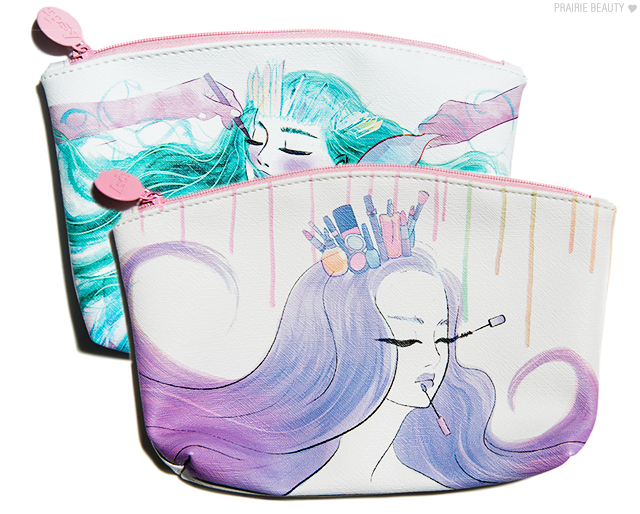 Though these bags aren't really to my personal taste, they're almost painfully cute with the crowns of makeup and the flowing pastel hair. I think I might end up passing this bag along to one of my boyfriend's nieces, because I think she'll pretty much be in love with it, so I'm definitely not mad at the bag this month. This is my bag for this month and I've gotta say... I'm not entirely thrilled about it. While I'm happy to get a sheet mask, because I'm a wee bit obsessed with sheet masks, the other 4 products are kind of meh to me. And don't even get me started on getting yet another black pencil liner in this month's bag. I think they need some kind of system that at the very least tries to ensure that people aren't getting exactly the same type of product two months in a row. Am I right? If I had gotten to choose my products this month, these are what I would have chosen. 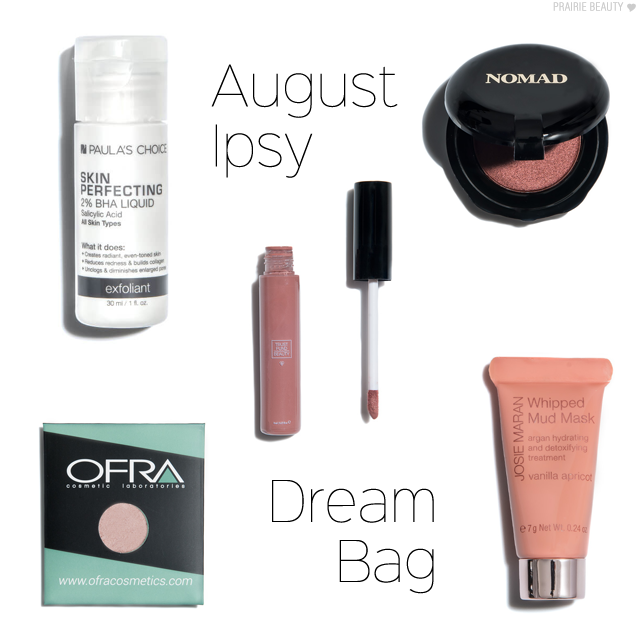 Had I gotten this bag or something in this vein, I would be a lot more excited about this month's Ipsy. I have to say it's just really, really annoying to me that during a month where there are SO many makeup items included in the bag that I ended up getting another black eyeliner. That's just the thing that I keep zeroing in on. As ever, I'm going to reserve judgement until I get the bag - but I'm pretty sure that there's no way I'm going to not be pissed off about the liner. 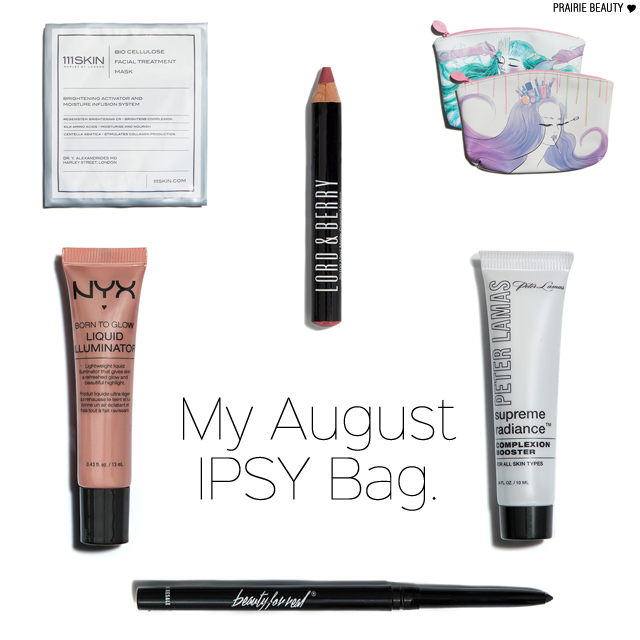 ANYWAY, I'd love to hear in the comments what you think about what's to come from this month's Ipsy bag and keep an eye out for my unbagging post, where I'll give you my first impressions of the products!